For some people, the idea of letting something go can easily be forgotten if coins are involved. 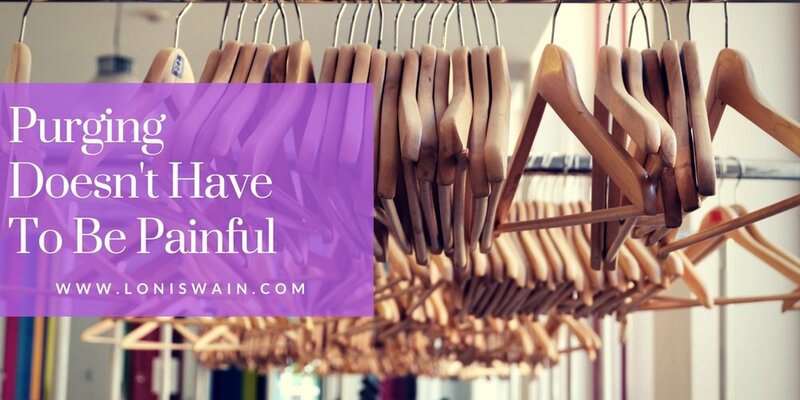 That t-shirt that you've never worn could be cashed out to buy something you want more or traded in (usually at a higher dollar value) for another wardrobe item that you know you'll get more use out of. Pricier items can be consigned or sold online to get paid closer to the retail value of your items. Donating your items that are merely collecting dust can pay off around tax time! You can get a tax deduction which could easily get you a few extra tax return dollars or help you avoid owing Uncle Sam. Not to mention, it's always a great feeling to know that you could be helping someone less fortunate. Choose organizations that directly benefit people and/or causes that are important to you. Gift your friends or family members with items that you don't use or want that you know they will love or appreciate. If they are unused, they can be actual gifts. If they are used- I would simply offer them to them as a just-because, not for a Birthday or occasion "gift" gift. Even if it's something they wouldn't ordinarily buy for themselves, they will think of you when they use it or see it. If you've got stuff you don't want and use, you know your friends and family members do too! Tell them to bring a bag of their stuff that they no longer use/ want (you could make it a theme- "jewelry swap", "purse swap", etc if you want to add to the fun) and you bring yours. What no longer fits you, may fit your BFF just right and it's an opportunity to make the purging process more social. People still have these! An apartment complex I lived at even threw one for the complex. If you live in an apartment community, suggest it to their property manager and they may go for it. Hope these suggestions spark a few ideas! Happy purging people! !